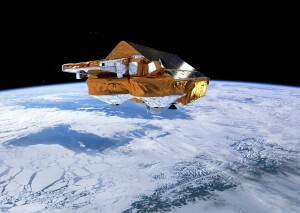 ESA’s CryoSat ice mission launched on 8 April 2010 to monitor changes in the thickness of ice – changes in both the marine ice floating in the polar oceans and the vast ice sheets that overlie Greenland and Antarctica. With the effects of a changing climate fast becoming apparent, particularly in the polar regions, it is increasingly important to understand exactly how Earth’s ice fields are responding. Diminishing ice cover is frequently cited as an early casualty of global warming and since ice, in turn, plays an important role regulating climate and sea level, the consequences of change are far reaching. In fact, satellites have already revealed that the extent of sea ice in the Arctic is diminishing – but this is not the full picture. To understand fully how climate change is affecting these remote but sensitive regions, there is an urgent need to determine exactly how the thickness of the ice, both on land and floating in the sea, is changing. 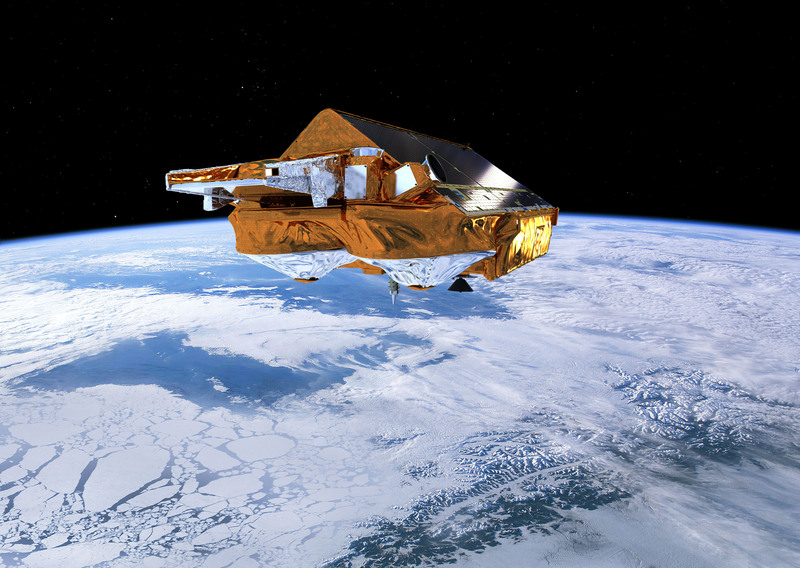 By addressing this challenge, the data delivered by the CryoSat mission will complete the picture and lead to a better understanding of the role ice plays in the Earth system. CryoSat carries the first radar altimeter of its kind to overcome the difficulties intrinsic to measuring icy surfaces. 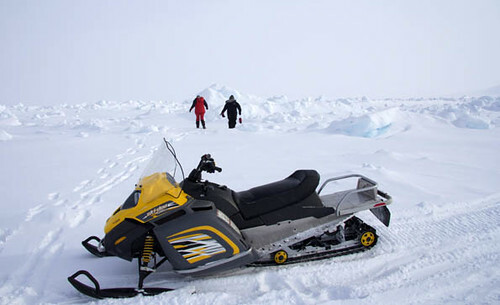 The instrument is able to determine the thickness of ice floating in the oceans and monitor changes in vast ice sheets on land, particularly around the edges where icebergs are calved. To make comprehensive observations of the polar regions, CryoSat flies in an unusually high-inclination orbit that takes the satellite to latitudes of 88°, closer to the poles than earlier missions. Observations result in an additional area of about 4.6 million sq km being covered. This extra coverage amounts to an area larger than all 27 European Union member countries.